Much more than just a party destination, the island of Ibiza is a gem in the heart of the Balearic Islands, with beautiful beaches, plenty of culture, a stunning old town, and a sunset to rival the best of them. Located off the coast of mainland Spain, thousands of tourists flock to the island each year for a variety of reasons; many travel to Ibiza for its nightlife, as the island is home to some of the biggest and best superclubs in the world; while others take a trip to Ibiza for its relaxed, chilled out vibes and historic significance. 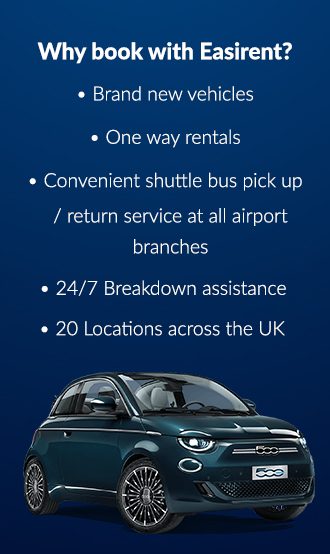 Serviced by Ibiza Airport, which is located 7km southwest of Ibiza Town, collecting your holiday hire car couldn’t be simpler, with a dedicated team of staff on hand to help you on your way. Ibiza is a very driveable island, with a lot of the island’s top spots hidden away on the north of the island, many only reachable by car; a rental car in Ibiza gives you access to the parts that are nestled away from the tourists, off the beaten track, and are just waiting to be explored. Best known for its clubs, Ibiza is home to countless world-famous venues including Space, Pacha, Ushuaia and Amnesia – which many will remember as being the setting for the hit comedy film, Kevin and Perry Go Large in the year 2000. But Ibiza is much more than just nightlife; dedicated spots to admire the stunning sunset are rife in the region, with Cafe Mambo and the Kasbah being two of the best places to wind down to the backdrop of chillout music, after a long day of exploring in your holiday hire car. With a rich history, the best time to visit the island if you want to avoid the throng of partygoers, is during the autumn and winter months – which is when you’ll get a true taste of Ibizan life. Visiting in spring is also beautiful, with many tourists checking in before the party season starts in May in order to catch the almond blossom, which springs up over the island. Boutique hotels, yoga retreats, an abundance of activities for the kids, Ibiza really does have something for everyone. There’s plenty of beautiful spots to pitch up for a night or two on the sunny isle of Ibiza, and none more beautiful than the Ca Na Xica, which is set in the stunning Ibizan countryside in San Miquel de Balansat. A night in the Ca Na Xica will set you back around £168 per room, but it’s definitely worth splashing the extra cash to stay in the stunning grounds, which give the boutique hotel the feel of a private resort. Just a 25 minute drive northwards in your rental car from Ibiza Town, the hotel is located near Benirras Beach, which is just a short drive from the hotel grounds. Built in the style of a traditional Spanish finca, the hotel oozes luxury, and is spacious, clean and contemporary throughout. For a more affordable stay on the Spanish island, book a room at the Hotel Es Vive, which is located between Playa d’en Bossa and Ibiza Town, and will set you back around £86 per night. Built and decorated in the Art Deco style, this hotel was originally built as a party hotel but it has since matured with age, and today is home to a pool and spa, as well as an onsite restaurant. Understated and elegant, the Hotel Es Vive is only one block away from the beach, so it’s in the perfect location for beachgoers and families. For a cheap and cheerful stay in Ibiza, check into the Hostal La Torre, which is located in San Antonio, a short walk from the island’s famous nightlife. With an unparalleled location, the Hostal La Torre offers guests one of the best vantage points on the island to watch the world-famous Ibiza sunset. Costing guests a mere £30 per room, per night – it’s definitely worth checking into this hostel, which is clean and laidback, with a unique Ibizan style throughout. The hostel is owned by the family behind the world-renowned Cafe Mambo, so you’re sure to get a true taste of Ibizan hospitality at the Hostal La Torre. There’s plenty of delicious food and drink offerings scattered across the island of Ibiza, with food for all the family to enjoy. For a food option on the lower-priced end of the spectrum, head to Amante Beach Club and Restaurant, which is located atop a cliff above the Sol d’en Serra beach. The restaurant not only has delicious, affordable food to try, it also has an enviable sun terrace with an unrivalled view across the sea. Three courses at the Amante Beach Club and Restaurant will set you back around £35 without drinks, and making a reservation is a necessity at this in-demand restaurant. If you’re driving to the north of the island in your holiday hire car, make sure to stop off at the Giri Cafe, which is a cool little establishment set on the popular main square in San Juan. The restaurant, which is a recent addition to the Giri Residence Hotel, is headed up by Chef Juan Pablo Carrizo who has created a modern Mediterranean menu, perfect for enjoying in the sun. Using locally sourced produce, the restaurant has a range of choices on offer, including risottos, pastas and salads; if you’re visiting with the whole family, the popular time to dine would be early evening, as the bar fills up as the night draws on. Meals in the Giri Cafe range from between £25 and £45. One of Ibiza Town’s most popular spots to grab a bite, is Passion; this laidback cafe can be found by the Ibiza Marina and specialises in vegetarian, vegan, raw and organic food. With salads, sandwiches, burgers and pasta on the menu, there’s plenty of choice for the hungry traveller. Why not head to Passion for a fresh and delicious breakfast, and wash it down with one of the restaurant’s specialist smoothies. Exploring the island of Ibiza is great for savvy shoppers, as there’s such a diverse range of shopping options across the island, from hippy markets to high street stores. If you’re looking for something truly unique, make sure to check out the hippy markets in Las Dalias and Punta Arabi, which are a trove of hidden treasures. Las Dalias market is open to the public on Saturdays, with the Punta Arabi open on Wednesdays in Avenida Punta, and Sundays in Santa Eulalia del Rio. Unique clothing can be found in the plethora of boutique stores located in Ibiza Town. If you’re looking for that special one-off piece of clothing, make sure that you pay a visit to Kurru Kurru, a fashion hub which is popular with local designers, who gather each week for fashion sales. If it’s shoes you’re looking for, look no further than Emonk Ibiza, which is a store selling unique embroidered suede boots; or, if you’re after jewellery, Petra Hauser’s collection – which is a series of insect wings preserved inside precious gems and metals – is a good option as well as Natasha Collis Shop and Studio, which sells one of a kind statement jewellery. Classy, neutral clothes can be found in B.ones, which is famed throughout the isle for selling a fashionable alternative to the colourful, patterned garments which can be found at other outlets across the island. During the high season, most of the stores – even the smaller independently run stores – are open seven days a week. Supermarkets in the main towns are generally open from 9am to 9pm each day, other than Sunday when they are open from 9am until 3pm; smaller local supermarkets usually close for a siesta in the afternoons, so it’s worth checking the opening hours before you visit, just in case. Putting the nightlife destinations aside, the White Isle is home to plenty of great destinations, which are rooted in historical significance. The landscape of Ibiza is arrestingly beautiful, and provides the perfect backdrop for a roadtrip around the island in your rental car. Ibiza has busy port towns, sleepy fishing villages, quaint seaside resorts and some undiscovered rugged landscapes. The heart of the island, Ibiza Town, has been designated UNESCO protected status, and it’s simple to see why – thousands of tourists flock to the pretty town to explore its charms and quirks, and explore its windy cobbled streets. Of course, one of the major attractions in Ibiza are the island’s many beaches, which vary across the island. Hop in your holiday hire car and head away from the tourist masses, and soak up the sun at the soft sandy Aguas Blancas beach or Cala Llenya – both of which are firm family favourites, just don’t forget to pack a bucket and spade and take advantage of the soft sand. Revel in the island’s hippy roots at Cala Benirras, which is a popular spot on Sunday evenings as members of the Ibizan hippy population gather to play the bongos against the backdrop of the stunning Iberian sunset. Fans of the musical South Pacific should note that it was filmed on the island, and should take advantage of some of its on-screen locations, including Portinatx which can be found on the north of the island, and is easily accessible in your holiday hire car. If you’d like to take a break from driving and enjoy a relaxing day in the sun, you can swap your holiday hire car for a chartered boat – which is great if there’s a large group of you travelling together. Smart Charter Ibiza will hire you a speedboat fit for eight people for a price of €506 altogether, which is great value for a day exploring the local islands of S’Espalmador and Es Migjorn which is located on nearby Formentera. Alternatively, the company also offers eight-hour luxury yacht rentals for 12 people priced at €1,930; both options include crew, snacks, water, beer, soft drinks, two bottles of cava and towels.